"... which induces an exact sequence in homotopy $$\ldots\pi_2(S^1)\to\pi_2(S^3)\to\pi_2(S^2)\to\pi_1(S^1)\to\pi_1(S^3)\to\pi_1(S^1)\ldots$$ from which the higher homotopy groups of spheres could be computed ..."
Now I know exact sequences, some algebraic topology and how continuous maps induce maps on homology and how Mayer-Vietoris extends this (under certain conditions) to a long exact sequence, and how the Hurewicz theorem gets you from homology to homotopy, but the machinery behind the above statement seems to be some other result/theorem/piece of theory. A very crude guess is that $\pi_n$ is a functor which preserves exact sequences, and some kind of Mayer-Vietoris then gives the long exact sequence. If someone has a nice reference for this material, that would be nice. To motivate you guys, here is a pretty picture. Note, as $p$ is a Serre fibration, the homotopy type of $F$ is independent of the choice of $b_0 \in B$. with a proof of the fact that $\pi_n(E, F, x_0) \cong \pi_n(B, b_0)$. Finally, the path-lifting property, together with the fact that $B$ is path-connected, shows that the map $\pi_0(F, x_0) \to \pi_0(E, x_0)$ is surjective. 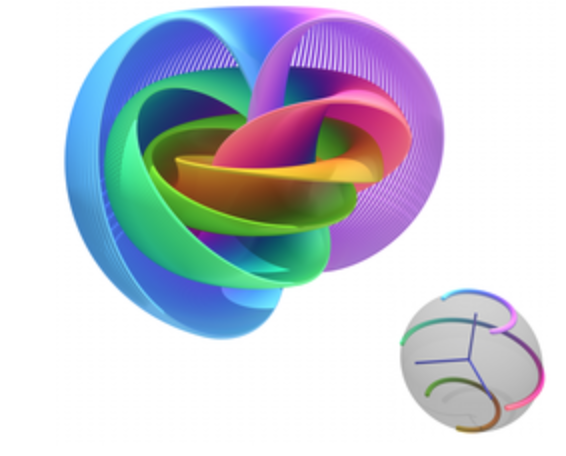 Another reference is May's A Concise Course in Algebraic Topology, page $66$, which takes a more functorial approach; in particular, it uses the loop space functor. Not the answer you're looking for? Browse other questions tagged reference-request algebraic-topology homotopy-theory exact-sequence hopf-fibration or ask your own question. Long exact sequence in homology: naturality=functoriality? Do long exact Mayer Vietoris sequences decompose into short exact sequences $0\to H_n(A\cap B)\to H_n(A)\oplus H_n(B)\to H_n(X)\to 0$? Image of exact sequence still exact? What are the maps in the long exact sequence of homotopy groups for the free loop space fibration?